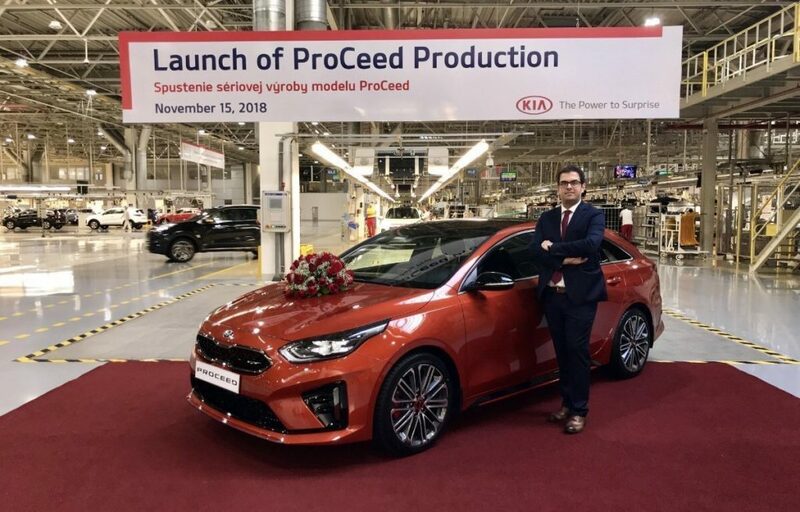 The new Kia ProCeed has started production in Slovakia, with the first models rolling off Kia Motors Slovakia’s Žilina production line today. The new Kia ProCeed merges stunning design with the space and versatility of a tourer in a five-door shooting brake body. With its stunning design housing a 594-litre boot, the ProCeed offers greater luggage space than many traditional compact family wagons, and even many tourers from the class above. Matching the daring design and engineering which makes it the sportiest iteration of the new Ceed model family, the new third-generation ProCeed will be available exclusively as a GT Line or high-performance GT model. The ProCeed made its public debut at the 2018 Paris Motor Show, and goes on sale exclusively in Europe in the first quarter of 2019. The new ProCeed inherits its name from the three-door Kia pro_cee’d coupé, which was also manufactured in Slovakia. Over 190,000 examples of the first- and second-geration pro_cee’d were produced in Slovakia. The new model was designed at Kia’s European Design Centre in Frankfurt, Germany, under the direction of Gregory Guillaume, European Head of Design, and Peter Schreyer, President of Design and Chief Design Officer. The design team sought to reinvent the pro_cee’d to ensure the same vitality and vibrancy wasn’t lost in the car’s transformation into a five-door shooting brake. More than 300 employees undertook training at Kia’s global R&D centre in Namyang, South Korea, ensuring the successful launch of volume production for the new Ceed model family. 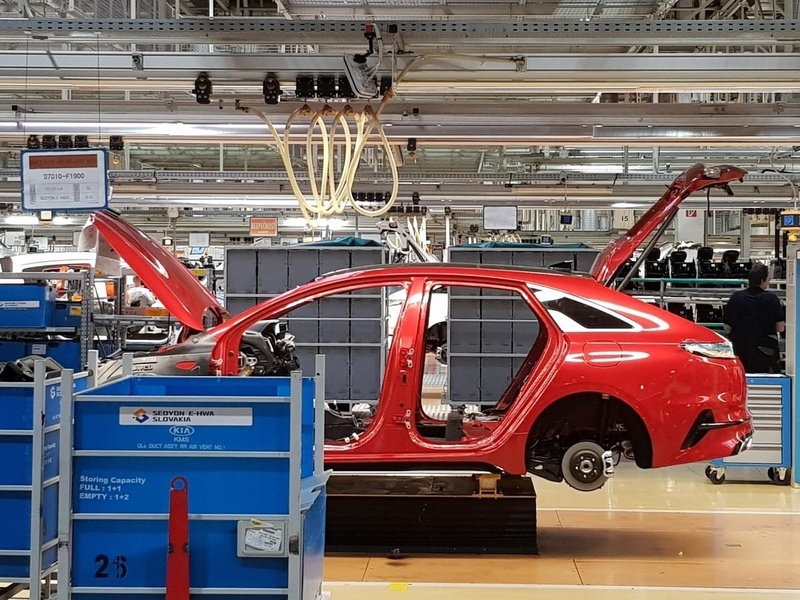 Training was focused on production operators from the assembly shop and quality department, with additional training for colleagues from various other departments within Kia Motors Slovakia, providing the skills to spot any defects or issues that could arise during mass production of a new model. 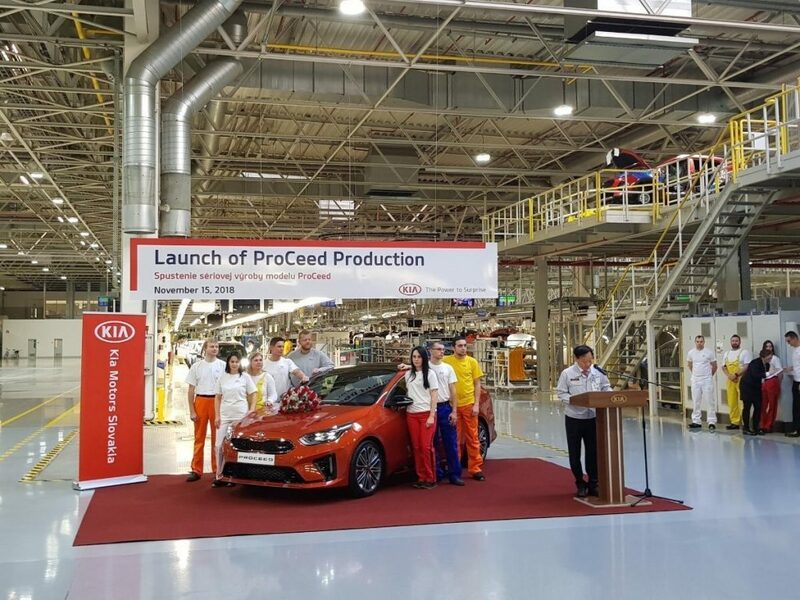 Almost 70 of these operators participated in further training early in 2018 ahead of production of the new Kia ProCeed. 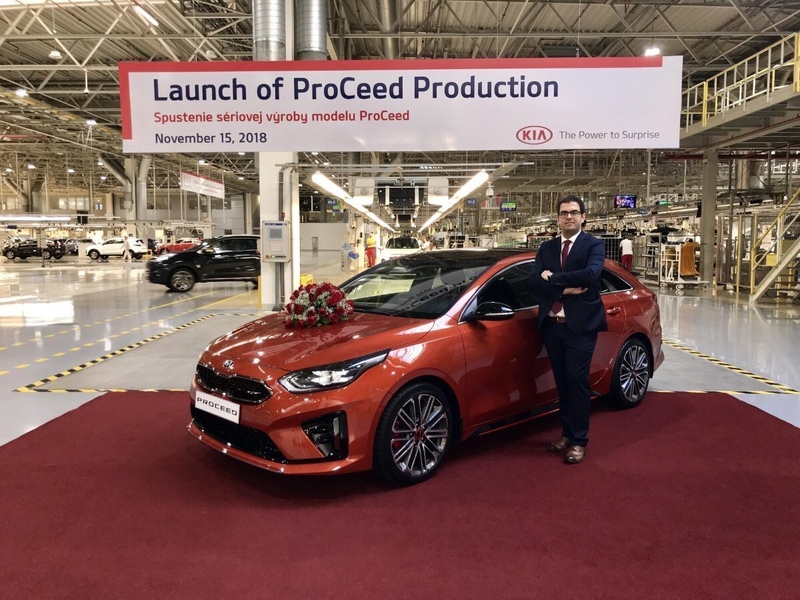 Kia Motors Slovakia has continued its development of the Žilina production facility in 2018, investing 200 million euros. In addition to the planned launch of new models, the company opened a new medical centre at the plant in August, with modern medical equipment to prevent or treat occupational hazards. When sales of the new ProCeed commence in 2019, it will be available with a range of engines. For GT Line models, gasoline options include Kia’s popular 1.0-litre T-GDi (turbocharged gasoline direct injection) engine, producing 120 ps and 172 Nm torque. The most powerful engine for GT Line models is Kia’s new ‘Kappa’ 1.4-litre T-GDi power unit, which produces 140 ps. Customers can also choose an economical new 1.6-litre ‘Smartstream’ diesel engine. Producing 136 ps, Kia’s first Smartstream diesel engine is the cleanest diesel engine ever offered by the car maker. The ProCeed GT features the same 1.6-litre T-GDi engine as the new Ceed GT – with 204 ps and 265 Nm of torque making it the most powerful engine in the Ceed and ProCeed line-up. For the first time, the ProCeed GT and Ceed GT will be available with Kia’s seven-speed double-clutch transmission.